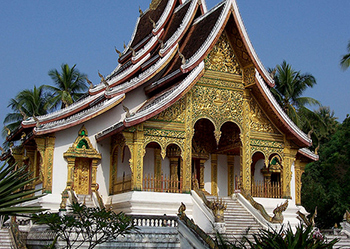 Laos Super Quick is a package 04days tour that including Luang Prang and Vientiane. 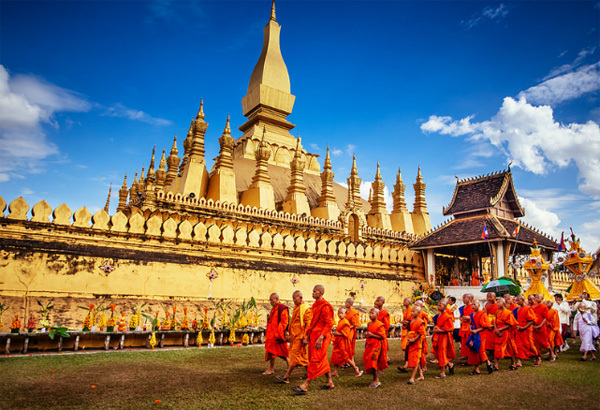 We start the trip from Vientiane- the capital of Laos with the oldest Wat Sisaket, Wat Prakeo, That Luang Stupa.. etc before going to Luang Prabang city with the visiting of city tour, Pak Ou Cave and Khuang Si waterfall. Upon arrival, you are met and transferred to your centrally located hotel. 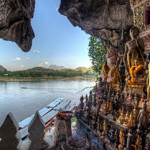 After a short rest, we set our orientation short Walking Tour to Lao Capital, strolling around the city distance, and observing the sunset by the Mekong Riverside and late evening. 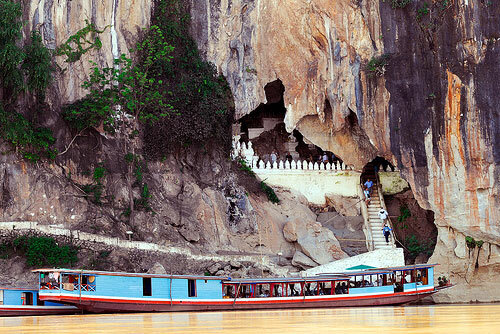 Seeing the city lifestyle of local Laos people. Breakfast, we start to visit the major sights of the capital including: the oldest Wat Sisaket with thousands of miniature Buddha statues and the former royal temple of Wat Prakeo previously housed the famous Emerald Buddha Image. On the way to the famous and sacred structure of That Luang Stupa, we stop to take some pictures of the imposing Patuxay Monument, which is well known as Vientiane’s own Arc de Triumph. From there, we visit the Central Market call ‘Morning Market’ where you can find the antique items for collection, well handmade textile and gift away items. After lunch at local restaurant, we spend the rest of this day touring Lao capital, visiting the National Museum (Revolutionary Museum) where varied antique items and legend of Laos’s history fighters and leaders displace from the ancient times to new revolution period. 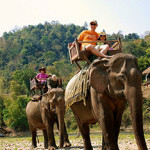 We then board a short flight to Luang Prabang, which is perhaps the best - preserved traditional city in Southeast Asia. 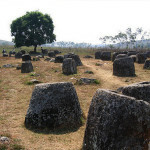 UNESCO registered 1995 as World Cultural Heritage City. The tranquility and charm of this town with its splendid natural scenery and cultural sights make it one of the most delightful places to visit in Asia. On arrival, we transfer you to hotel. Free for the rest of the day. 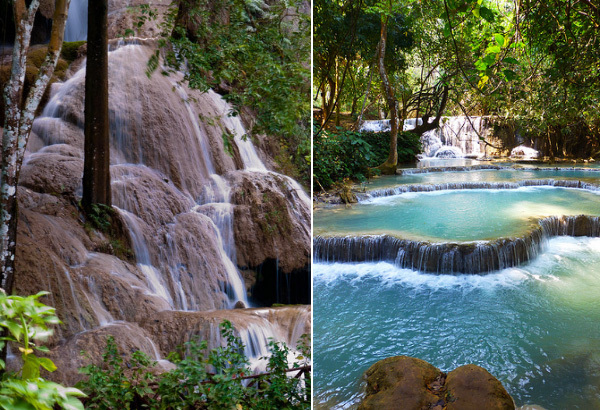 This then takes us to the beautiful Kuang Si Waterfall where you can cool off with a refreshing swim in the pools or walk along the forest trails. 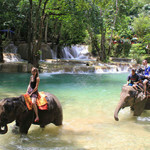 Before returning to Luang Prabang, we stop to visit the Kuang Si Falls Butterfly Park (closed on Tuesday, and from 03rd May to 19 June every year), one of the must-visit spots, where you can have an optional 15 minute tour to learn about butterflies and local flora.